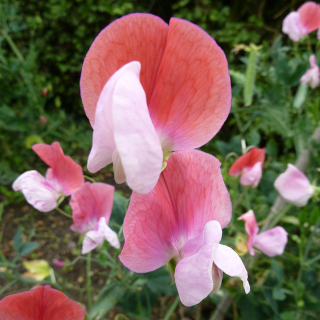 Sweet Pea 'Painted Lady' is an annual climbing ornamental pea with bi-coloured pink and white flowers. Strongly scented, long lasting flowers. Mildly poisonous so should not be eaten. 25 seeds per packet. Photo by Magnus Manske (CC BY-SA 3.0).